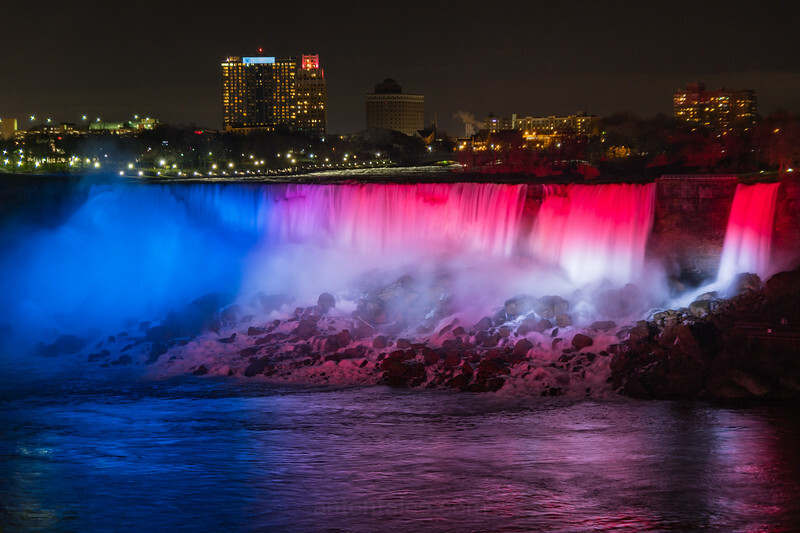 Niagara Falls: Winter Festival Of Lights. December 1st, 2016. 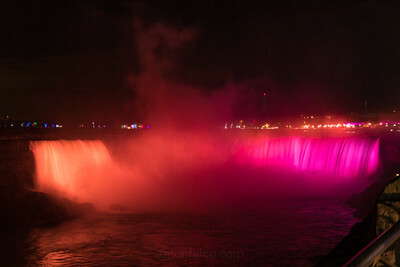 My girlfriend and I decided to take the hour long drive down to Niagara Falls to observe the "Festival of Lights" event that occurs every December. 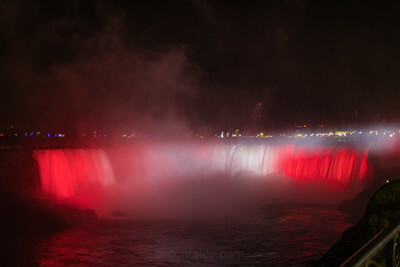 We had read a CBC article that this year would be slightly different: the lighting system for this event received an upgrade to the tune of $4 Million, so, needless to say, that piqued out interest. 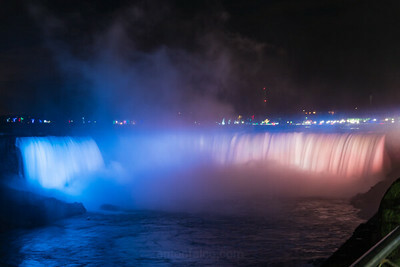 Niagara Falls has this illumination of the falls event each year for most of the month of December, and has a fireworks display every Friday at 9pm EST from December 23rd to December 30th. I've been to many of these shows over the years, and if you're in the area, it's worth going to this event. Even just to experience it once. I was late to leave my house, so I didn't get as much time as I would have liked to scout for a better area. Nonetheless, I enjoyed the event and I happened to get some decent shots in the process. 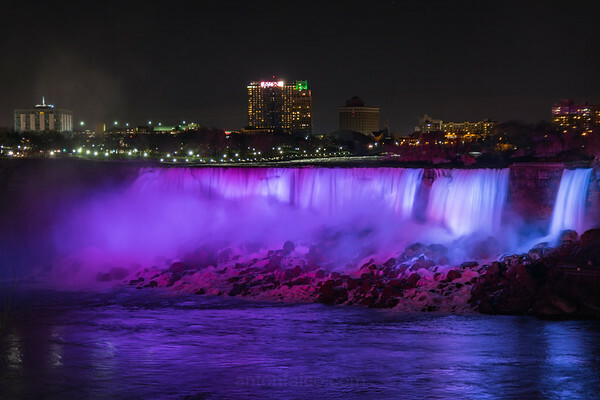 I'll include some pictures below and you can see more in the Landscape Photography tab. If you missed the event this year, festivities occur throughout the entire month of December.